The Auteur Labels compilation series profiles independent record labels with a unique and enduring sound, vision and design sensibility, usually guided by one or two directors, concerned more with art than commerce. 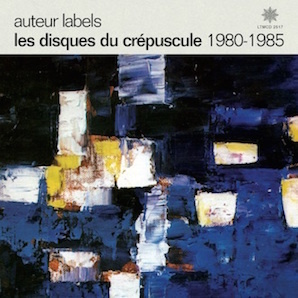 This release focuses on Les Disques du Crépuscule, the chic, multimedia independent imprint founded by Michel Duval, Benoît Hennebert and Annik Honoré in Brussels in 1980 and associated with Factory Benelux during its first year. The Names contribute "Life By The Sea".